In the past decade, North Dakota State has become a dynasty. They’ve consistently dominated the FCS conference, winning six of the last seven FCS titles since 2011. 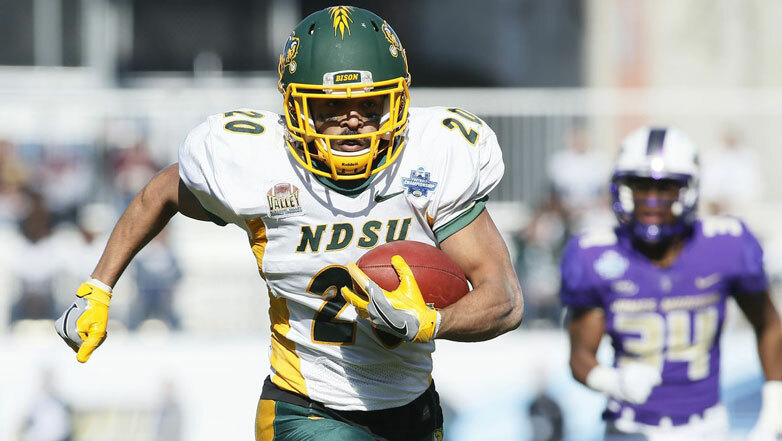 Throughout this dynasty, the Bison have created a clear offensive identity. They are a smash-mouth, physical football team. Their bread-and-butter play that they use to pound defenses into submission is their A-gap power play. With their base power play, the Bison intend to run the ball in the A gap, which is the back’s aiming point. 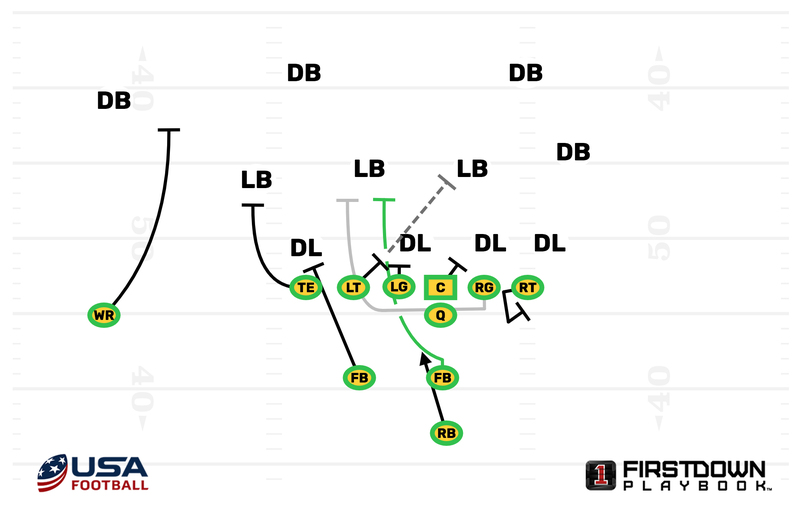 The playside lineman are responsible for their backside gaps and the backside guard skip-pulls and leads into the A-gap to kick out the linebacker. The back’s progression goes from the front side to backside A-gap. He reads the playside double team, and if his read takes him inside the double team, he then takes the frontside A gap unless the nose comes over the top, in which case he would take it to the backside A gap. He is not supposed to bounce it outside. 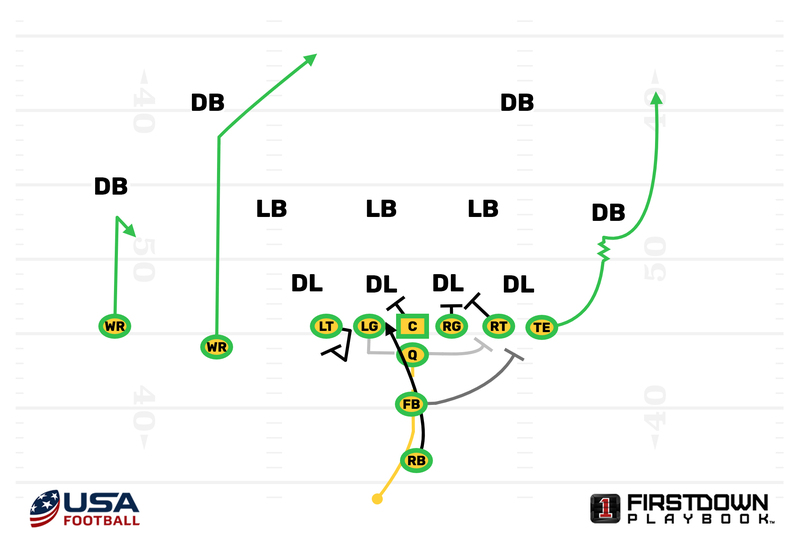 A-Gap Power: The Bison run A-gap power with a fullback, h-back, or tight-end kicking out the c-gap defender. In this example, the 1-technique defensive tackle gets washed down hard, giving the back the front side A-gap. 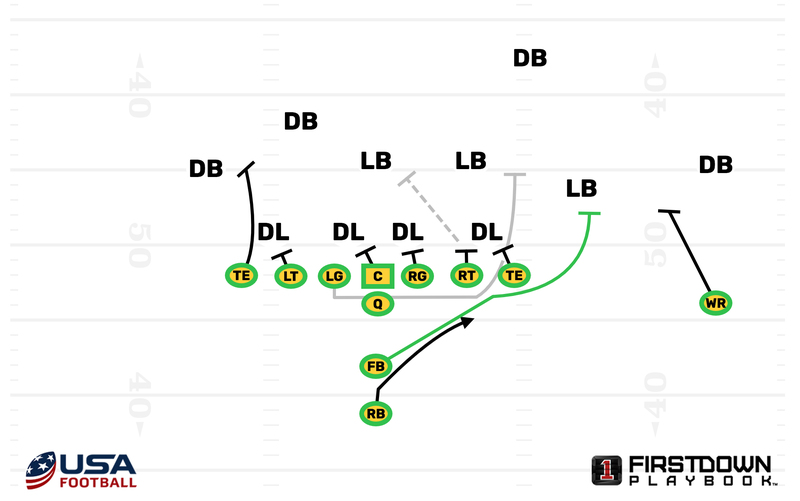 A-Gap Power TE Arc: The Bison also run A-gap power to the tight end side. They have the tight end arc to the overhang, and the fullback kicks out the end. 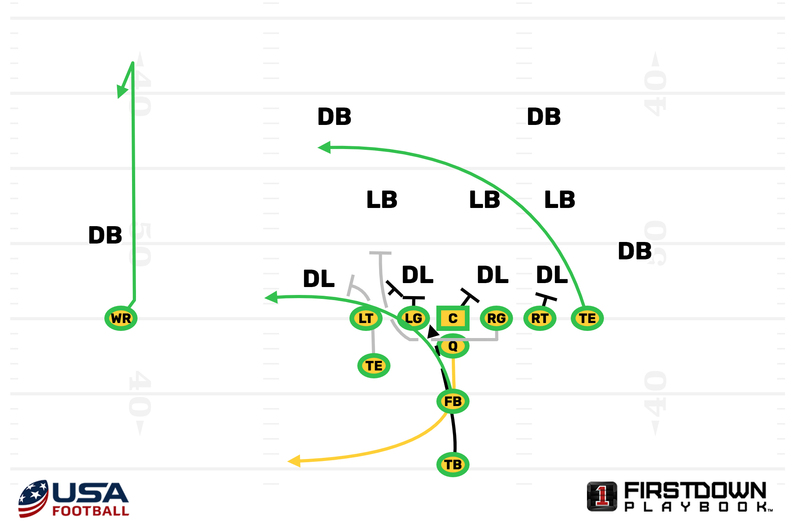 Power arc plus: The Bison’s most used variation of A-gap power, is where they run A-gap power with a frontside TE arc, and they have a second fullback who they used as a second puller to lead the back. C gap power: If the end is squeezing hard, the Bison will run C-gap power. With the guard pulling around a double team by the tight end and tackle. Bounce: Teams often try wrong-arming the kick-out block by the fullback. In order to counteract this, the Bisons will bluff the kick-out block with the fullback and have the fullback come around leading for the back outside. The end squeezes and is out of position to make the play and doesn’t have to be blocked. The pulling guard also comes around the end and looks to block the perimeter for the bouncing back. Because he is pulling wide, he will utilize a open pull rather than the skip pull used on the A-gap power. Power Read: The Bison have had great success going out of the shotgun, and running power read, which is blocked the same, but instead of blocking the end, they read him. Here&apos;s an article on their power read play. 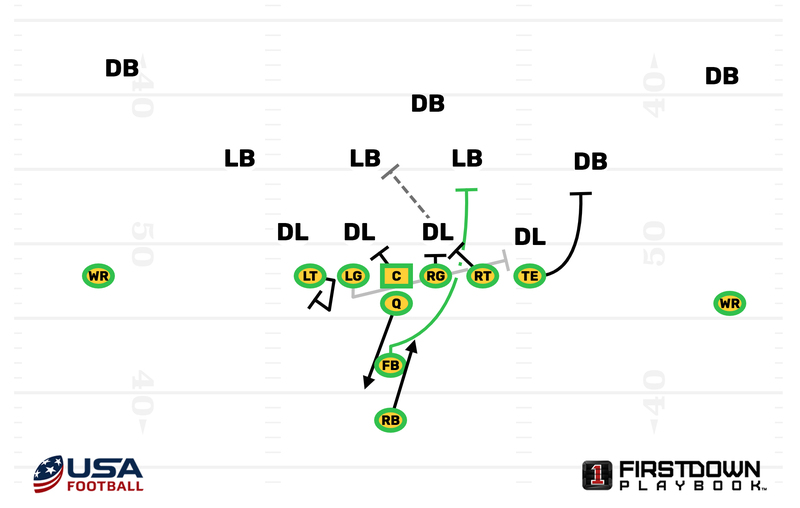 Roll-out: The bison run a rollout off power where the fullback slips to the flat, and the pulling gaurd leads for the quarterback. 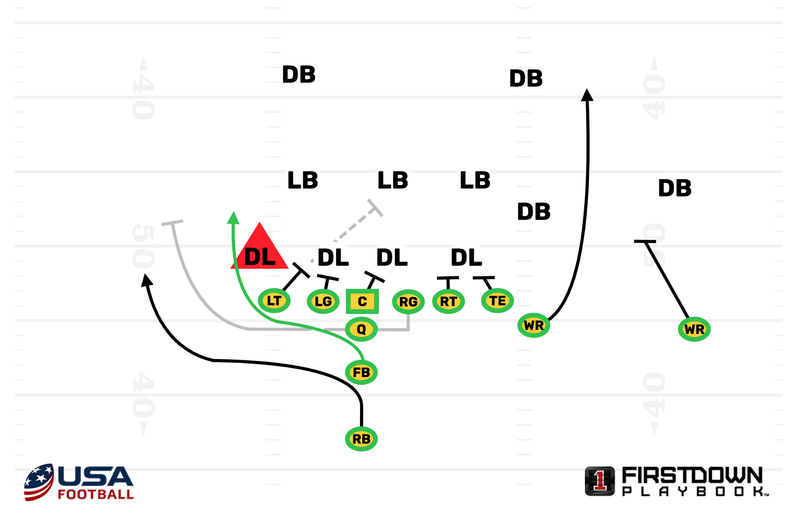 In the clip below, the Bison run this concept out of their 2-fullback look. 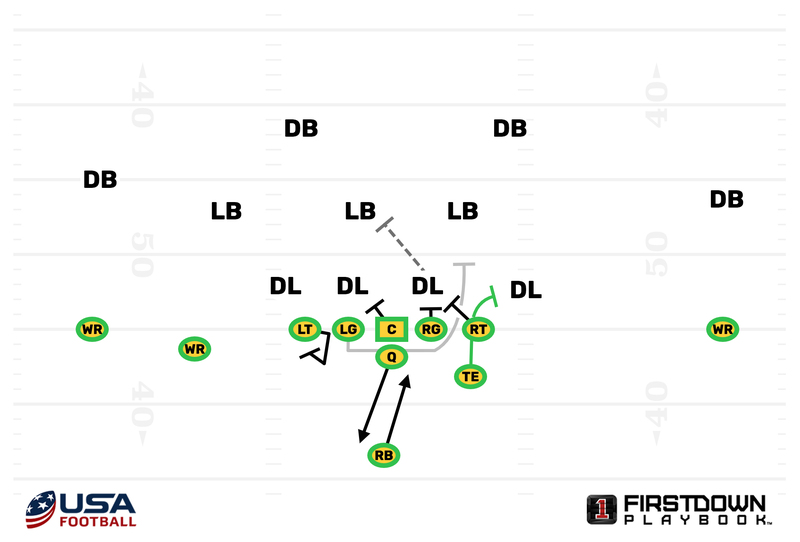 The Bison dominate their opponents with this physical trench play and great technique. Their scheme accounts for every front and different ways that defenses want to defend A-gap power. Their offense is a great example of how to perfect one play and build an entire system off of it. Arm yourself or your entire coaching staff with the most effective and sophisticated systematic approach for blocking and defeating blocks, with material for both line and skill position coaches.